Large oddment compartments in the dashboard and doors which make the passenger compartment even more comfortable can be fond in cars not equipped with a sound system set-up. A specific kit can be found in the Lineaccessori Fiat range for a “Sound system set-up” in the car. As concerns sound systems consisting of radio see the Supplement annexed to this Owner Handbook. The system consists of: sound system power wires, front and rear speaker power wires, aerial and respective power wire four front door speakers (2 tweeters and 2 woofers) two rear full-range speakers. 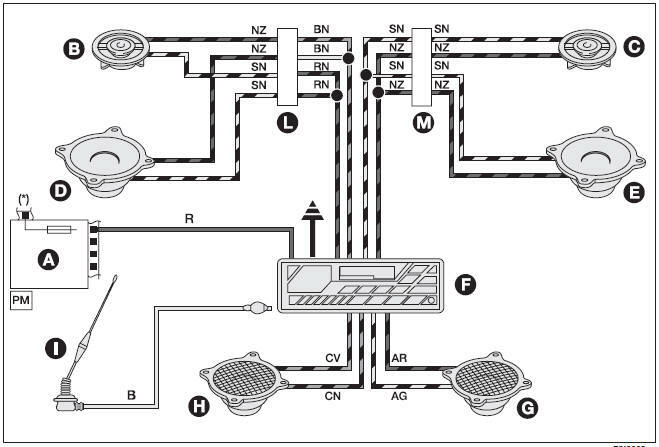 Replace the compartment shown in the figure with the plate provided with the optional “Sound system set-up” in the boot to install the sound system. 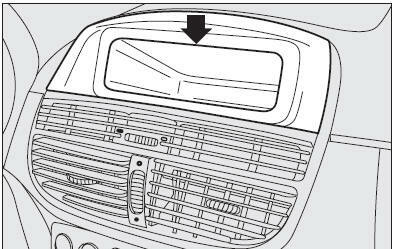 To remove the compartment which is clipped into place, insert your hand in the compartment, press downwards and pull it out towards the inside of the car. Fit the compartment provided by clipping it into place. Then locate the electrical connection power wires.